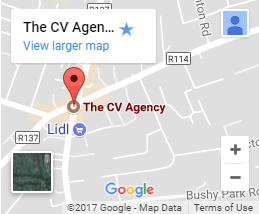 The CV Agency is an Irish CV writing consultancy. We are made up of human resource specialists who are experts at producing quality curricula vitae, cover letters, profiles, and other application documents. The CV Agency has extensive experience in curriculum vitae writing, as well as advising and guiding candidates on their job search. The CV Agency is built on integrity and the assurance that all contact with our clients is treated with absolute discretion. We believe an individual’s CV is their most important document and that it should be prepared with the utmost care and consideration. The CV Agency is located in Dublin and has a global reach, having successfully worked with clients in the UK, US, Australia, the Middle East, and Asia. We write CVs and cover letters with a strong focus on creating unique, individualised products for our customers. We do not use templates and each CV is made from scratch with your career goals in mind. We do not outsource any of our services. While we do offer rapid delivery times, our passion is giving your CV the time it deserves to make sure it is perfect for you.